Chinese storage specialist RunCore has announced its latest product, and if you've been waiting for SSDs to get bigger you're in for a treat: the company's latest 3.5in solid-state device holds a whopping 1TB of data. The company has achieved this impressive figure by joining together two banks of NAND flash chips, each equipped with its own SandForce 1200 SSD controller. This dual nature of the drive allows it to be configured in two ways: as a single 1TB drive, or as a 500GB mirrored drive for redundancy. When configured in 1TB mode, RunCore claims that the drive can churn through over 500MB/s of data in both read and write mode - an impressive figure, but slightly less than double each module's rated 285MB/s read and 275MB/s write speeds. To keep the date flowing to the SSD at a rate that it's happy with, RunCore has also opted to give it a SATA 6Gb/s interface, although promises that the drive is also fully backwards compatible with older SATA 3Gb/s ports if your machine doesn't support the new connectivity standard. Sadly, there's one key thing missing from RunCore's announcement: pricing. With its support of SATA 6Gb/s, the blazingly fast transfer speeds, and the prodigious storage on offer, it's fair to say that RunCore's latest creation is likely to be out of reach of the average consumer. Are you pleased to see companies concentrating on getting the size of SSDs up as well as the speed, or just wondering when devices like this will reach the level where everyone can afford them? Share your thoughts over in the forums. 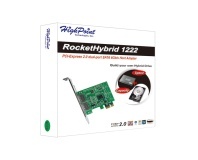 HighPoint's RocketHybrid card lets you combine any hard drive and SSD to make a DIY hybrid drive. 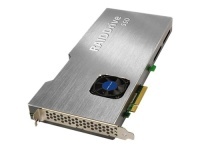 Super Talent has previewed its RAIDDrive II PCI-E SSD, offering 2.4GB/sec read-speeds. 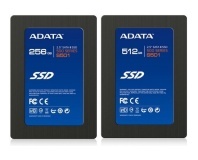 A-Data has launched its latest SSD range, featuring a Marvell-based SATA 6Gb/sec controller.